“A Wrinkle in Time” is the latest film adaption of the book by the same name by Madeleine L’Engle, which was first published in 1962. On Feb. 25, a press conference was held and the actors, directors and producers came together to discuss the film in its many aspects. Director Ava DuVernay with Storm Reid on the set of Disney’s A WRINKLE IN TIME. Ava DuVernay, the director of the film with a $100 million budget became the first black woman to direct a live-action film with a budget that immense. 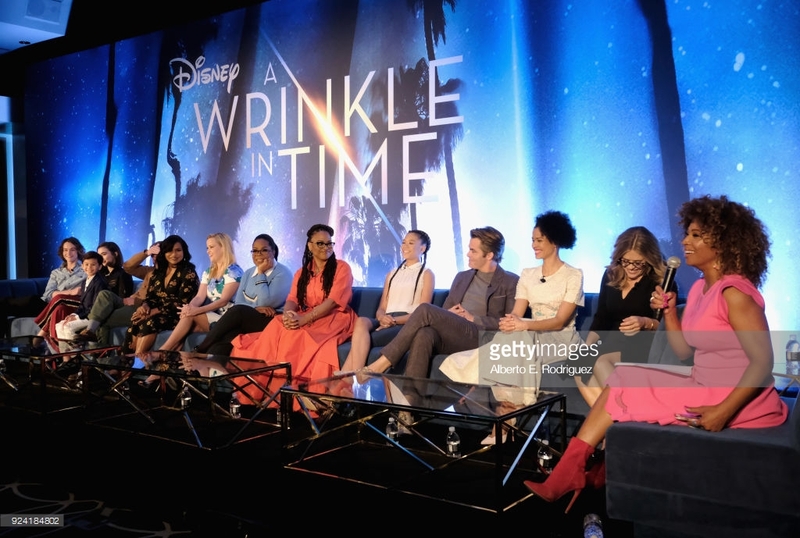 In the press conference for “A Wrinkle in Time,” she expresses her goal for the film and how she connected with the movie. “This is a film for young people, and people who are young at heart. And for me, I have to ask myself, do I still have a heart, first of all? And is there an inner child still in me? Did I…find that light that I used to have, that dreamer? And so I got to do that for two years…and try to create some magic with this great group of people,” said DuVernay. Jim Whitaker, Jennifer Lee, Adam Borba and Ava DuVernay on the set of Disney’s A WRINKLE IN TIME. The film broke through barriers in the entertainment because it is directed, produced and written by women, including women of color. Jennifer Lee, screenwriter for the film, is also best known as the screenwriter and director for the 2013 Disney animated feature film Frozen. “I had daydreamed of Ava directing this and never imagined. She walked in and I said, really? Because her incredible evocative storytelling, emotional storytelling, and what this film needed, because this is a journey across the universe, but at the heart of it is a family story and empowering young girls,” said Lee. Entertainment in 2018 is full of representation of every culture, race, and people in the industry and on screen. With “A Wrinkle in Time,” actress Mindy Kaling was proud to be one of the symbols for young Indian girls around the world. The movie is directed toward a younger audience, with a story full of morals about accepting your faults and fighting hate with love. With IT representing darkness, and Meg representing light, there are clear lines of good and evil.